It’s budget season again. 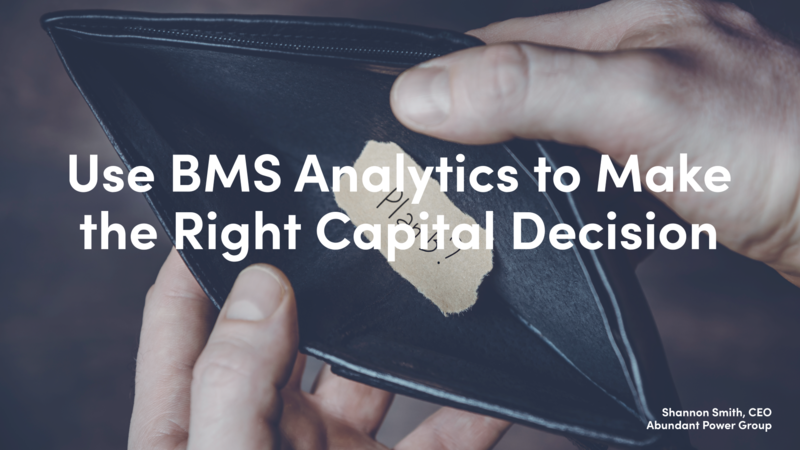 Time to decide where to use your limited operational budget on capital expenditures (CapEx) and upgrades. An asset’s life cycle can be predicted, but not guaranteed. So often equipment is run inefficiently; running for too long or during unoccupied hours, or at the same time as competing equipment. This presents a problem: when do you replace that asset? Waiting until it fails can be costly. But replacing it too early may be an inefficient use of funds. So what, as a property manager, do you do? We have developed the HVAC CapEx Evaluation report. A risk-rank of every piece of equipment in the building based on a daily, weekly and even seasonal basis. A view of which pieces of equipment are nearing the end of their lifecycle, those that ran excessively causing sooner than expected end of life cycle, or the assets that have been inefficiently used causing premature replacement. The data to help a property manager understand which budget decisions will give the biggest return on building performance for the budget they have. Suggestions for immediate and short-term equipment replacement needs and the anticipated building level impact. All of these features will make HVAC CapEx Evaluation an important and critical addition to the budget process. The cost impact of premature equipment failure or inefficient usage is a topic often ignored, until it happens. This is especially true with critical building-level assets, such as cooling towers, chillers and boilers. Don’t let it happen to you. Use your data to make the best decisions for your building.